Organize your closet with ClosetMaid 53-inch W Closet Maximizer System, it helps you upgrade your existing closet in less than 30 minutes. You don’t even need to drill any holes or remove shelves. 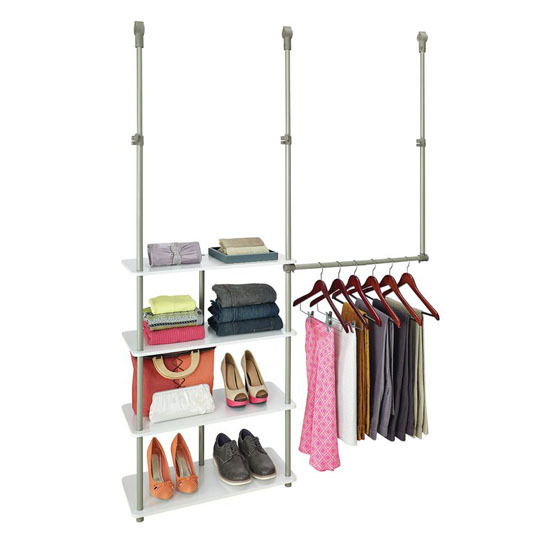 This system offers functional and modern closet design that includes sturdy wood shelves, metal accents, and hang rod that you can adjust its position on either side to customize your space. Having a small room means that you have to be very smart in designing the room to fit everything you need. 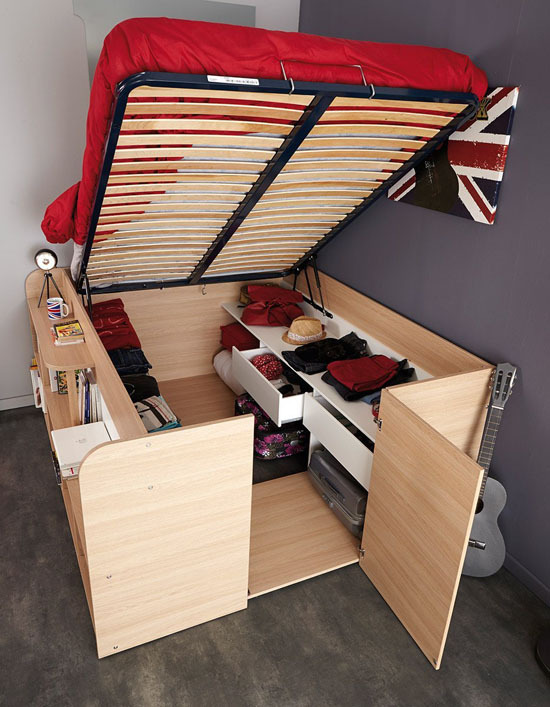 That’s why we’d like you to check out Parisot Space Up Bed and Storage, it’s a raised bed with multiple storage area to keep all your belongings. 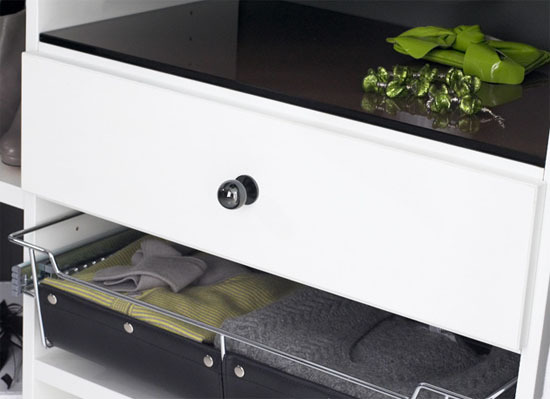 Made in France, this bed also offers multiple storage cubes a.k. cubbies, two large shelves, and two drawers. 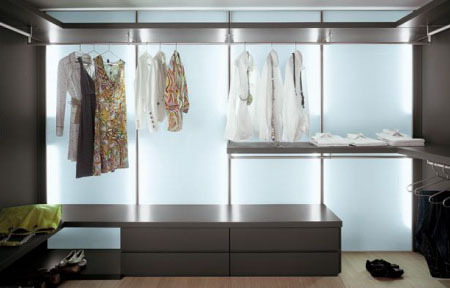 Modern walk in wardrobe designs are getting smarter this time. 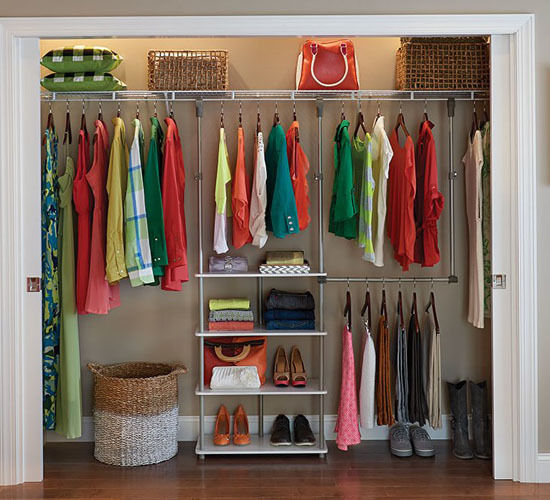 Clothes are harder to keep in order than we think but it can be a lot easier if we are going to place them all in one place called a Walk in Wardrobe like the Manhattan Closets. If you are from the US, this will surely be a common thing for you. However, if you are from the UK, you might find it something new to try. Bathing is a must thing to do for others while a relaxing and rejuvenating thing to others. The Hikki Bathtub will surely make your bathing experience a remarkable one. 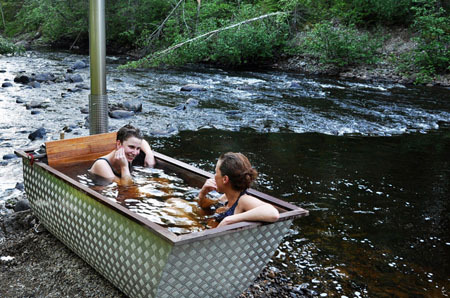 Looking at the photos, the tub is spacious enough for the users to move freely while bathing. It is a stand-alone bathtub and looks sturdy and elegant enough for outdoor use. The outer finish has a playful design, which adds to the beauty of the tub. If you have tub of this stylish and elegant, you surely would love to have dip daily especially a stressful day at work. 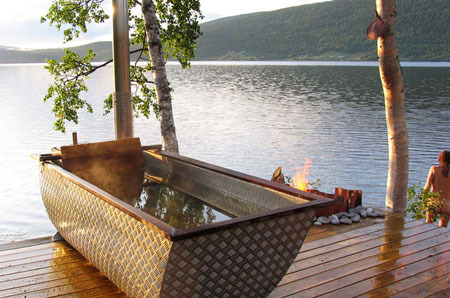 In addition, when placed outdoor, the Hikki Bathtub will surely form part of your landscape design. 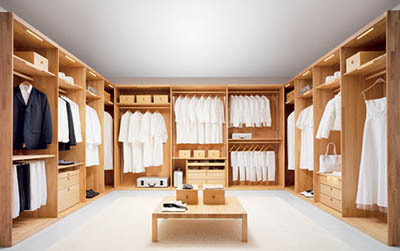 Designed by Team 7, this amazing custom closet system help you to be able to see all your clothes because it puts you right in the center of things. 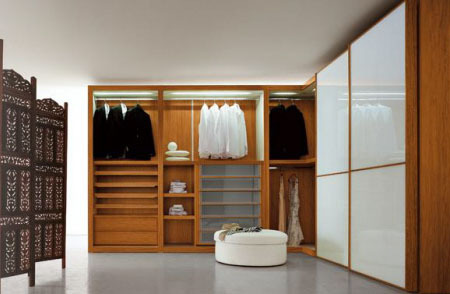 This contemporary custom closet can help you save your precious time for searching the perfect dress or accessory to compliment your attire. This walk-in wardrobe is using natural wood system and very functional, the smooth and snag-free drawers with clear panels which allow you to see drawer’s content before you open it.